Sutter Roofing is a roofing contractor that handles roofing, gutters, leaf protection systems, gutter repairs, roof repair, roof maintenance contracts, inspections, skylights, solar tubes, attic insulation, attic vents, and solar attic fans. Sutter Roofing and Sheet Metal is available to service the following cities in Sonoma County: Sebastopol, Santa Rosa , Petaluma, Rohnert Park, Windsor. What quality of products is the roofing contractor using? Low, medium, high, or highest? Remember, you often get what you pay for. If you go for the cheapest price of all the estimates you receive from a roofing contractor, does that mean you’ll still get million dollar quality work? Is your roofing contractor fully licensed? If not, why would you take the risk of having low quality work done on such an important component of your home? Does your roofing contractor pull the correct building permits and have inspections scheduled in a timely manner? Delays and poor attention to detail can cost you in the long run. Does the roofing contractor work with pre-fabricated gutters, or does the roofing contractor make the gutters specific to your roof? When the roofing contractor is finished with the new roof, is the roofing contractor capable of providing attic insulation or attic ventilation, too? Is the roofing contractor capable of providing a written 3, 5 or 10 year warranty on workmanship, in addition to the 10 to 50 year manufacturer’s warranty from the roofing product? Does the roofing contractor have a list of happy clients that will be glad to share their stories with you about this roofing contractor? If not, why not? 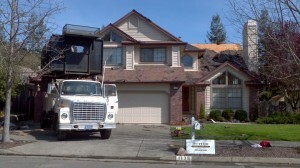 As you can see, there are many facets to being an outstanding roofing contractor. Roofing contractors must go beyond the simple roofing project to shine as a leader amongst roofing contractors. If you would like to see what makes us special as a roofing company, contact Sutter Roofing and Sheet Metal today at 707-829-5050 or online. You’ll be glad you did!